Mono - Nowhere, Now Here, 17,03 fr. The conflict and correlation between dark and light is a universal theme with a historically rich history. Musically, perhaps no band in the 21st Century has mined that relationship more consistently or effectively than Japan's MONO. Across 10 albums in 20 years, MONO has convincingly reflected the quietest and most chaotic parts of life through their music. Their ever expanding instrumental palette - which began in earnest in 1999 with the traditional guitar-bassdrums rock band setup - has evolved to include as many as 30 orchestral instruments. 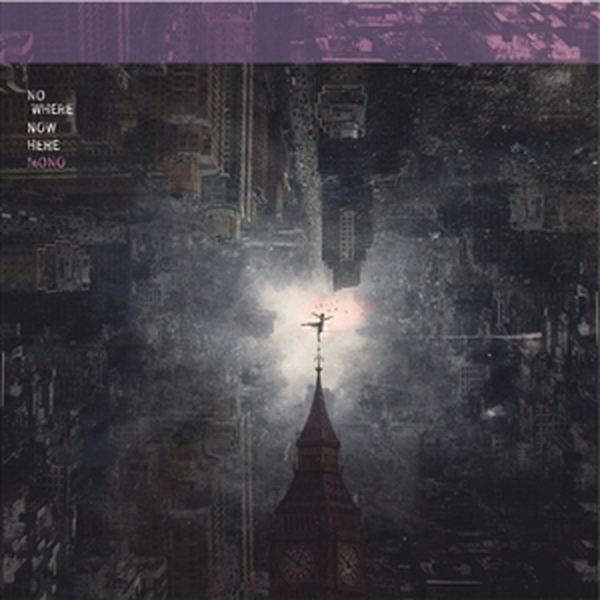 Now, on Nowhere Now Here, the band add electronics to their repertoire - perhaps inspired by guitarist/composer Takaakira 'Taka' Goto's recent collaboration with John McEntire, the beguiling Behind the Shadow Drops. Nowhere Now Here also sees MONO's first-ever lineup change, adding new drummer Dahm Majuri Cipolla (The Phantom Family Halo) to the core trio of Goto, Tamaki, andYoda. Tamaki also makes her vocal debut here, singing into the shadows of vintage Nico on the poetically hazy "Breathe". The unlikely career of MONO has taken them to virtually every corner of the planet, several times over. Those corners have all left indelible marks on their music, as it drills deeper towards the sound of feeling not quite human and all too human - often at the same time. As British Musical Magazine NME once stated, "this is music for the Gods". After releasing 10 successful albums including a live album with an orchestra in New York, the band received the highly regarded award "The Marshall Hawkins Awards: Best Musical Score - Featurette" from the Idyllwild International Festival of Cinema for their collaborative short film "Where We Begin" in 2015. The band was also nominated for "Ariel Award for Best Original Music Score" for the feature film "The 4th Company" which was released in 2016. Earlier in the year, the band was invited to London's Meltdown Festival as one of the headliners, personally requested by the 2018's curator Robert Smith of The Cure. The band shared the stage with artists such as My Bloody Valentine, Nine Inch Nails, Mogwai and Deftones. V8 Wankers - Oh, What A Jerk He Is - 7"